Syncplify.me Notepad! 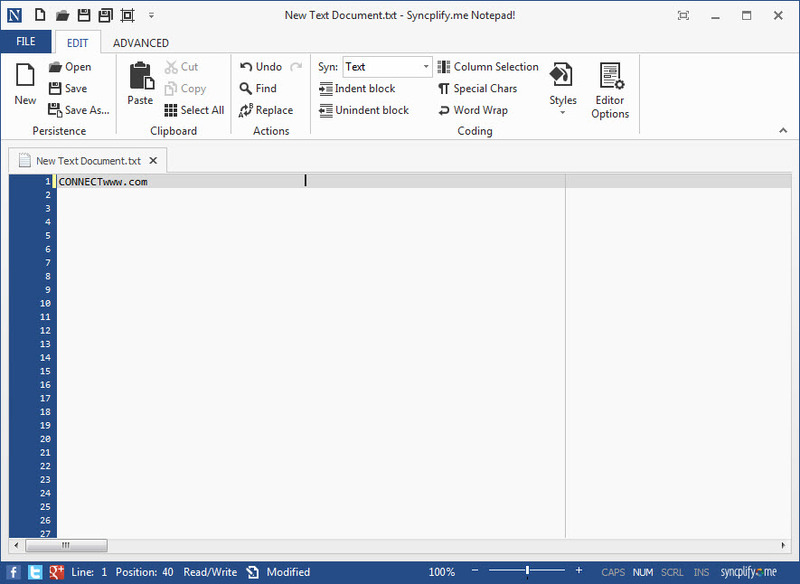 is a free notepad software for windows. edit large documents (greater than 4 GB). Printing and WYSIWYG print preview. Syntax highlighting (40+ languages supported). Customizable header and footer for printing. Export as HTML and RTF. Find and replace with regular expressions. Hash code calculator, with support for CRC32, MD5, RIPE-MD160, SHA1, SHA256, SH512. Normal as well as columnar selection.